Flash Drive Systems: Are You Up To Date? FLASHSYSTEMS: ARE YOU UP TO SPEED? Everyday, businesses are faced with tidal waves of data from a multitude of sources including social media, sensors, mobile platforms, websites and more. The more data thrown at a business, the more reliable their storage enterprise needs to be. While the increasing volume of data may seem overwhelming, the value of this information to a businesses success is stronger than ever. It’s a well know fact that companies who gain insight from data dramatically outperform those who don’t and the key to managing this crucial information relies heavily on the speed and capacity of the business’s storage system. 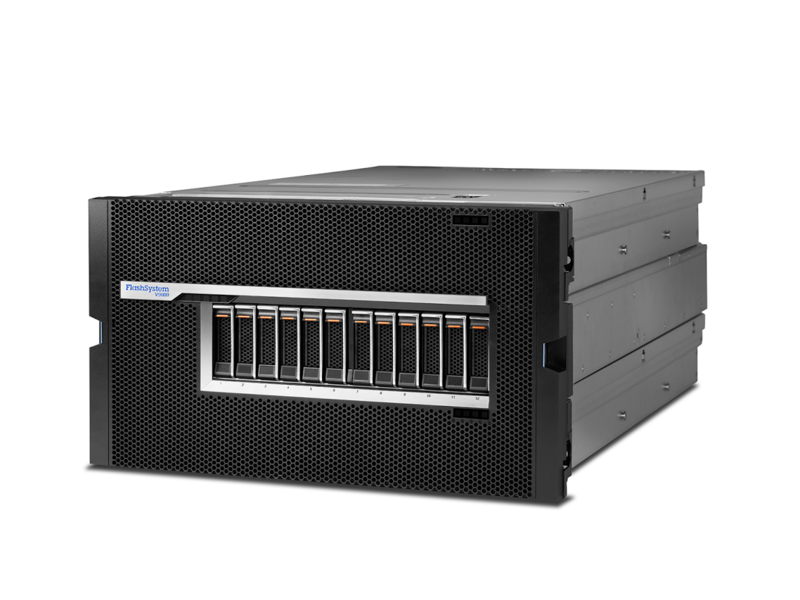 Earlier this year, IBM announced the addition of two all-new FlashSystem storage solutions. The FlashSystem V9000 and the FlashSystem 900 provide industry leading efficiency and performance as well as superior reliability which helps lower the total cost of ownership for businesses. These storage systems assist businesses in accelerating data-intensive infrastructures and applications by providing a performance increase up to 50 percent compared to traditional enterprise HDD storage and up to four times more capacity in a smaller rack space. The FlashSystem 900 succeeds last year’s FlashSystem 840 and offers businesses extreme-level performance, enterprise reliability and macro efficiency. The 900 all-flash array is Micron-made and uses “IBM enhanced” MLC flash drives in swappable Micro Latency Modules that come in 1.2TB, 2.9TB, and 5.7TB capacities to provide a maximum of 58TB in 2U. IBM’s FlashSystem 900 can be deployed in as little as two hours, compared to the typical days or weeks of deployment it might take with a conventional system. IBM’s FLashSystem V9000 is similar to the FlashSystem 900, with the addition of IBM’s SVC storage virtualization hardware. This extra boost allows for up to 32PB of external storage to be managed from the V9000. The FlashSystemV900 allows customers to consolidate their existing storage system under a single interface and offers cutting edge features including Real-time Compression, Easy Tier, and Thin Provisioning. The new system is designed for all infrastructures and applications and can be customized by Midland to perfectly fit the needs of your organization. No matter your business’s storage and efficiency needs, Midland can work with you to design and fulfil any flash storage solution that is required within your IBM environment. Whether it be an old, new or upgraded system, Midland’s team works hand in hand with your IT branch to find your organization’s perfect solution. Every solution proposed by Midland is back by solid technical evidence and input from our tech team, ensuring that you will have absolute confidence in your customized system.